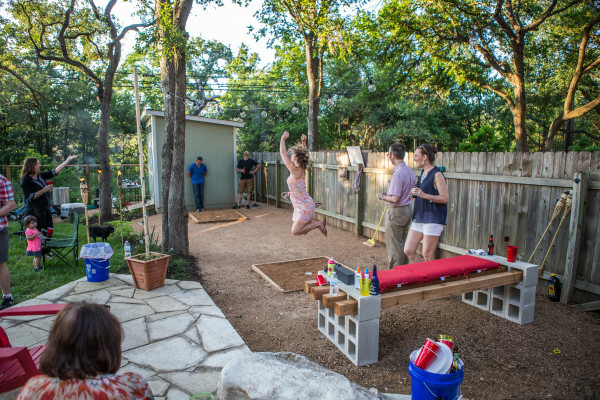 Our customers for this project were a young, active family new to Austin with a keen eye for design and a love of the outdoors. The main goal of this project was to implement an outdoor living space while also providing an area for their dogs and kids to be active. Starting in the front yard, we added a walkway to connect with the street to create a welcoming entrance for guests. 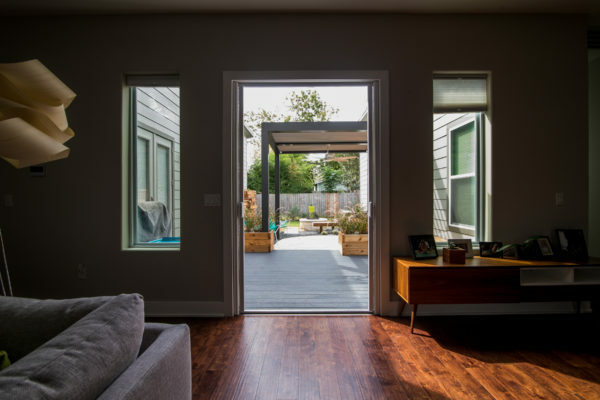 Next we focused on extending their indoor living space into the backyard by implementing elements that they would draw them outside. 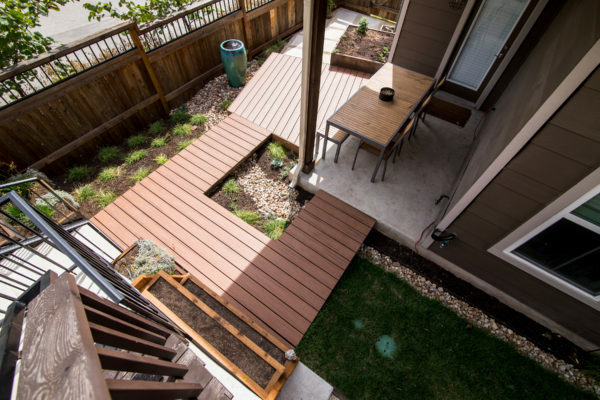 The new patio and fire pit, built-in seating opportunities, an outdoor shower, and an adjustable louvered pergola help keep the space comfortable for everyday use. A rain water catchment and a raised garden and herb wall create opportunities to interact with their landscape. The inclusion of the custom built play area gives the kids a separate place to play while mom and dad entertain. The home was a new construction, with unique yard layout that left us with a series of corners. These customers were conscious of choosing environmentally friendly options to work with nature in their space rather than combat it. We were able to create movement within the yard and soften the structures with native plantings that added energy to the space. Replaced the lawn with shades of green for this happy little drought tolerant front yard! Newest project underway- pool, metal retaining walls, walkways, and native plantings!